As many of you know I love dresses! I also love versatility and think investing in a new dress every season is a really easy way to update your wardrobe or refresh it. If you work out a few different ways you can style the dress then straight away you have a selection of outfit ideas you can dip into. Yes it's that time of year again, the school holidays are nearly over and it's back to school! We loved these Goodordering bags last year and are really happy to be sharing them again in this years back to school feature on the blog. New York New York!! I wanted to document what I got up to on my recent trip to New York and share my fave things I did with my sister for our lovely girlie weekend away to the Big Apple! We went away in July and there was a heatwave happening so it was super super hot. I'm always on the look out for new inspiration and ideas for my ever evolving home. It's super easy to update and freshen up a room - for example by adding seasonal cushion covers, new curtains, wall paper or bedding. I was bought up in a creative household - my mum was a serious quilter and sewer and often made us matching holiday clothes. As you may or may not know I am a serious fan of M&S and they have been dishing out some winning styles this year. Standout and must have pieces sell out super fast with cult status gained by this iconic British High Street retailer. I've had some requests for a summer dress edit so here you are! I used to be a dress buyer so I'm always on the look out for a good dress and boy are there plenty around!! I always love sharing some of my fave finds with you guys so I hope you find these edits useful in tracking some lovely pieces down, saving you time surfing the net! I was slightly nervous when Embers Camping asked if we would try out one of their campsites for a couple of nights. 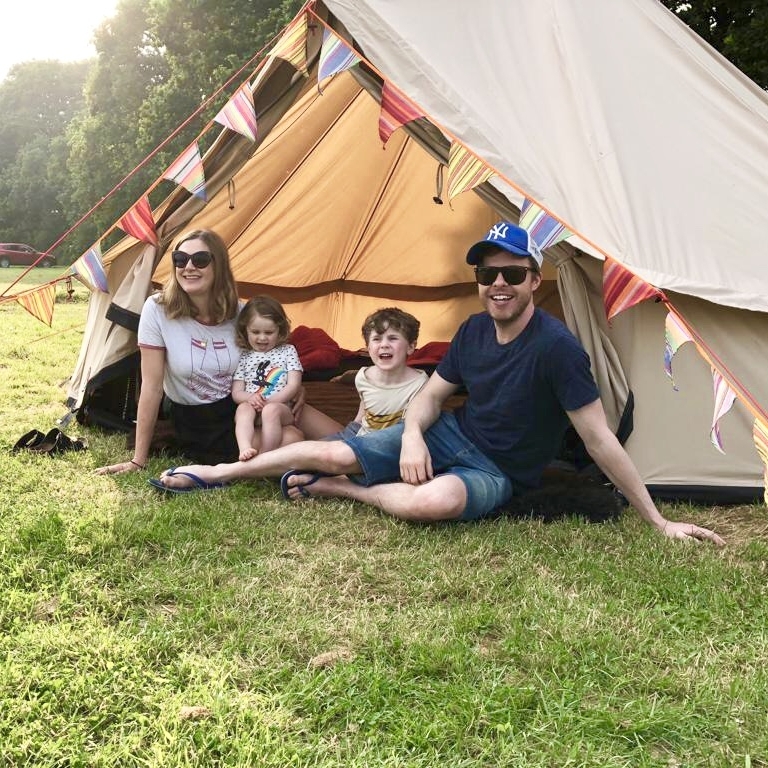 I'm happy to admit I'm not much of a camper, (having said that most camping has been at festivals and that's a different experience in itself right?) preferring my creature comforts and home routine. All hail the mighty summer bag - woven, straw, raffia, bamboo... there are so many good bags out there so I've decided to do a little round up of my favourites. Investment hand made or bargain priced high street styles there are lots of options around. They really do help make a summer dress or holiday wardrobe that bit more rewarding. Some of you may remember I have been doing the MUTU System online course to help me get more body confident post partum and sort my pelvic floor out. I wrote an initial blog post about it here. I have now finished the course so wanted to write a follow up post about the result and give my final verdict. Yay to the start of summer and yay to the most beautiful flowers at this time of year. Finally it's the season for blousy, romantic peonies - my all time favourite - with their pretty soft colours and frilly petals. I've also been enjoying seeing all the blossom and wisteria images feeding through on social media. I love discovering small, independent brands on social media and was really excited to see such amazing prints from Polish kids brand Don’t Grow Up on there. They are fairtrade and use organic fabrics and I like their ethos of staying a kid at heart. Their nautical prints - think mermaids, sailors submarines and fishes - are really fun and the shapes are modern and comfortable. We've been going bananas for all the tropical vibes happening in kids swimwear this season! Bold colour stripes and retro detailing are also catching our eye - love the spots, ruffle necks, skirted swimsuits and surf sets. Now we just need the weather to improve again and the local paddling pool in Clissold Park to open. With the teaser of warmer weather we've just had here in the UK, I've been thinking about swimwear and started to spot some really gorgeous swim pieces that I wanted to share. All my favourite things seem to be going on with swimwear trends this year - stripes, ruffles, scalloped edges and colour. We visited an old fashioned sweetshop in the beautiful medieval town Rye (about 10 minutes drive from the house) and walked along cobbled streets to pick some holiday treats. Kids clothes detailed below. A UK holiday with young kids is always appealing as you never have to travel too far or deal with flights, bag weight limitation and jet lag. It's nice to discover some great places that are conveniently on your doorstep or just a short drive away. However, the biggest issue for a week long UK break with kids is packing! From Babies With Love is the ultimate go to, feel good premium baby brand. Not only is it all organic and ethically sourced but 100% of profits go to orphaned and abandoned children around the world. How incredible is that?? So far, From Babies with Love have supported over 1000 children and the number is quickly growing. It's nearly the end of March so I thought I'd get a quick Mama Fashion Finds edit in before Easter! I recently attended a Levis bloggers brunch and got to try on lots of the new pieces for SS18 which are out now. I fell in love with these dungarees which I was hesitant about at first as they are quite a baggy fit but they did end up coming home with me! Boho retro rattan, vintage dark metal, minimal scandi cool, relaxed day beds, playful bunk beds... the options for kids rooms these days are endless! Finding the right bed for your little one can be quite hard work, especially finding something that looks good and isn't too pricey. So I've pulled together a little edit of my top stylish bed finds for your little ones, across a range of budgets.